View Basket "WUSU no.4 – a DVD and CD pack" was successfully added to your basket. 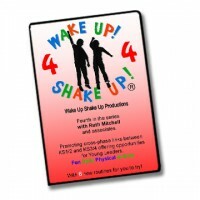 This DVD has been designed for use by ‘not-so-young’ individuals or community groups to promote appropriate fun, safe and engaging physical activity. 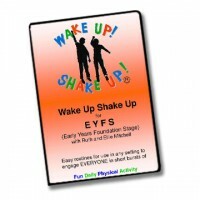 ACTIVE BODIES ACTIVE MINDS (ABAM), is a fun Wake Up Shake Up resource for the ‘not-so-young’ which has proved popular with WI meetings and in residential settings where an activity leader can introduce it and has also been successfully used in special schools for children with limited mobility. 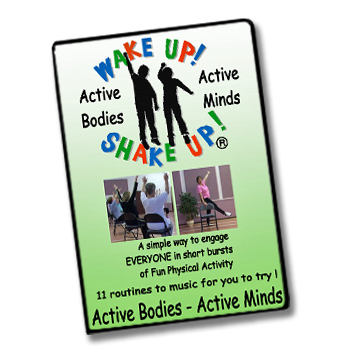 11 routines to fun music, either seated or standing with support. Barabara, a retired PE Teacher, is 70 years old herself and an absolute marvel. So why not give it a go? You wont regret it!